Comments Off on ALC is out! 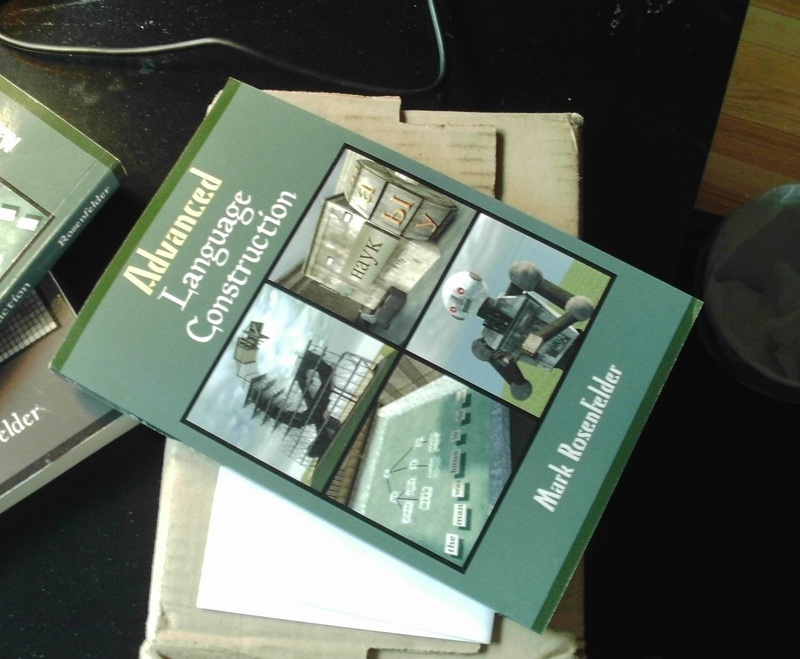 I got the final proof copy of Advanced Language Construction on Wednesday, and it passed my extensive tests on whether my name was spelled correctly. So, it’s available now in print and Kindle editions! Go get some! Also it’s my birthday, so if you were wondering what to get me, the answer is, royalties. Treat yourself to a copy of ALC, you deserve it! As I write, the Kindle version is #7 in the Linguistics category. Which doesn’t translate into a very high actual number, but it’s still cool. I’m beating Lakoff & Johnson, man! (Lakoff can console himself with being #4 as well.) Also beating Particle Physics, which is presumably about how particles behave when smashed onto the ends of words at near-lightspeed. I may have a slightly biased viewpoint, but I’m really happy with the book. It ended up with a focus on morphosyntax, which was covered fairly breezily in the LCK. It’s a pleasure to cover topics like morphosyntactic alignment, aspect, and polysynthesis in the detail they deserve. Plus there’s new stuff that I think will interest experienced conlangers, such as predicate calculus, pidgins, ongoing sound change, and Sign. I showed the proof copy to my parents, and I think it scared them. But don’t let that stop you! They think that about quantum mechanics too, and how hard is that? BTW, in case it’s not obvious, the giant robot is making one of the signs from the book. Also, I think there’s kind of a clever pun in the lower left illo.